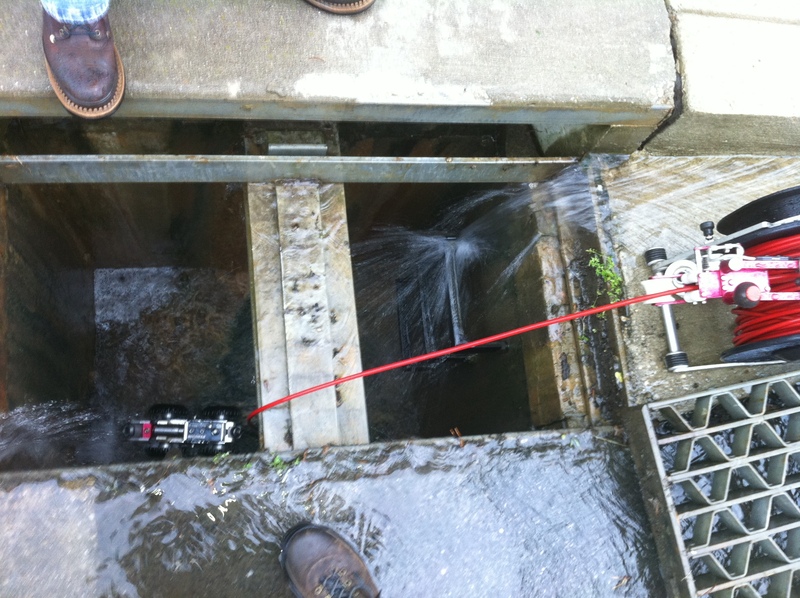 Stormwater inspections are an important service which we offer our clients. These inspections provide clients with a report detailing the condition of their stormwater facilities and recommendations. The report is for the client’s use only and is not a regulatory tool. The client is then able to assess what work needs to be done as well as schedule and budget for future improvements without the pressure of a violation letter. In many cases stormwater management systems are located above ground or have an access point to enter and do a visual inspection. However, some systems are not easily accessible and are more difficult to diagnose when a problem exists. This is especially important in pipe systems that are too small for confined space entry and with limited manhole access. ROVVER camera inside storm drain inlet. While digging up entire runs of pipe to find a blockage, misalignment, deterioration or deformation in the line may be effective, it is expensive and a huge disturbance to the site. Luckily, we are able to avoid such invasive measures with a camera technology that gives us a set of eyes inside a pipe without causing any physical disturbance. 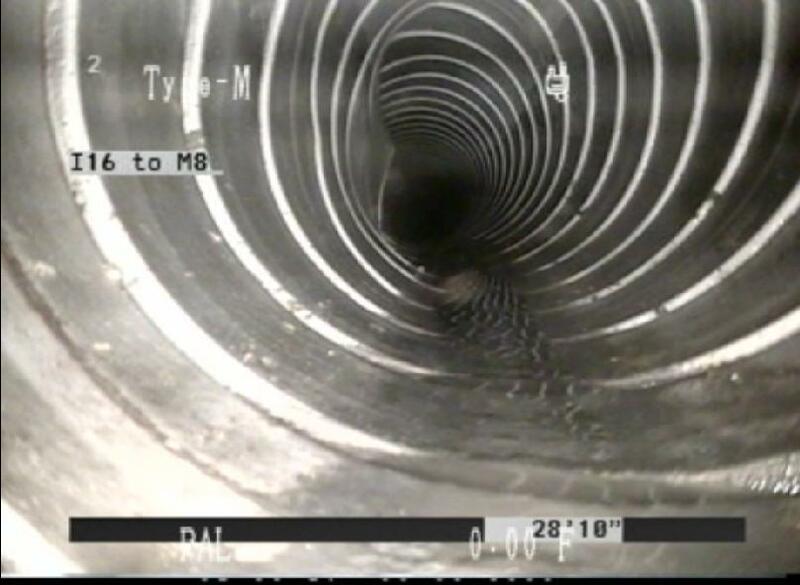 Damage to storm drain pipe as seen with ROVVER camera. ROVVER camera set up on-site. We are able to use a tiny robot camera to access deep inside of storm pipes and previously inaccessible storm drain systems. 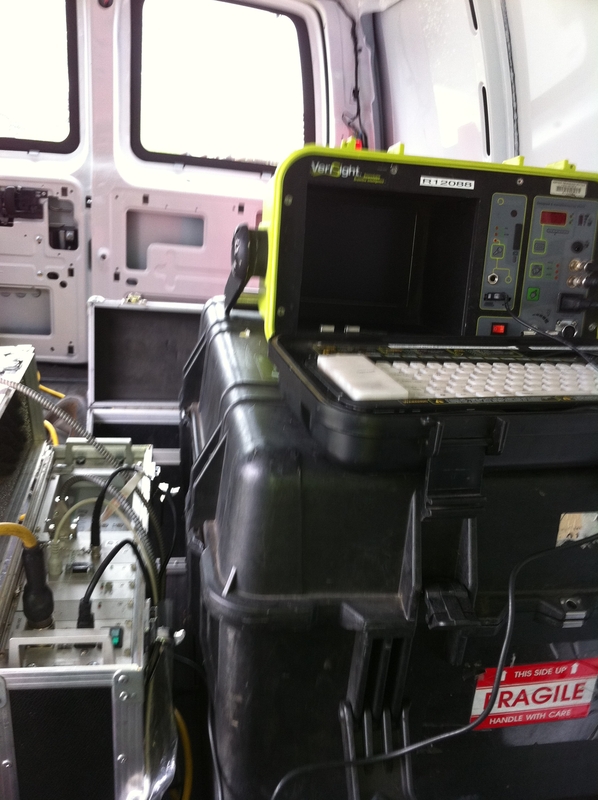 This robot, called a ROVVER (short for Robotically Operated Video Vehicle Enhanced Receiver), can take video and still pictures while recording its position within the system. Knowing where the ROVVER is positioned within the pipe allows us to pinpoint the problem and design and implement a repair with less disturbance and lower costs.